Need some place to keep track of all the cargo you're smuggling? 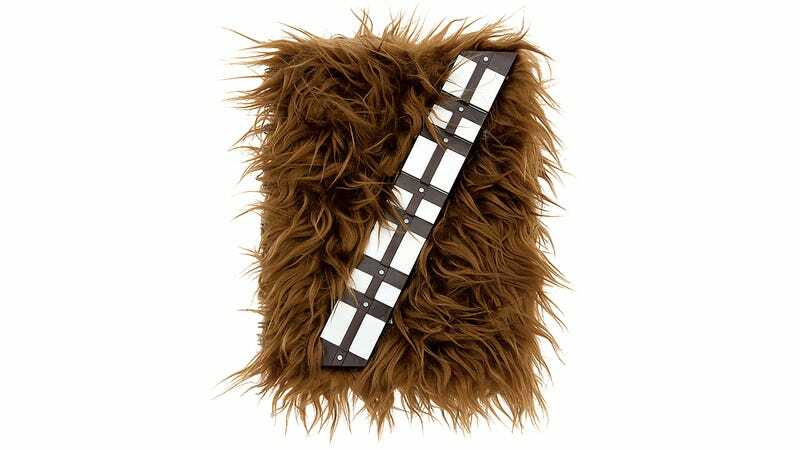 This Chewbacca-themed 160-page notebook is not only covered in a luxurious coat of fur, it also makes actual Wookiee sounds whenever you open the cover. It doesn't have a lock, but doesn't need one because everybody knows not to mess with a Wookiee, right?